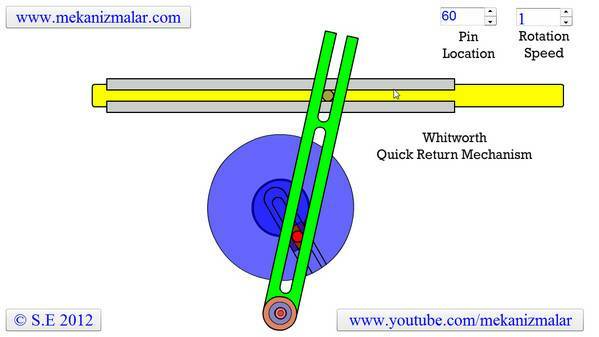 How a Simple Whitworth Quick Return Mechanism Works? Your web site and its contenent are interesting. Please what is the software used to make the animations ? mr. anurag is correct. it is not whitworth quick return mechanism. this is slotted arm quick return mechanism.pl. do not load wrong thing at the right place which will confuse many.